PORTRAITURE Author Miriam Pawel paints a profile of a two-man family dynasty. On its face, California's Brown family political dynasty is the story of two men, but metaphorically it's really the story of three. In the dialectical tale of the Browns, the thesis is Pat Brown, the buoyant old-school liberal who served as California's governor in a time of expansion and optimism. Antithesis would be Brown's brainy, aloof and austere son Jerry, who moved in to the governor's office at the insufferable age of 36 with rock star Linda Ronstadt by his side, in a time of cynicism and retrenchment. 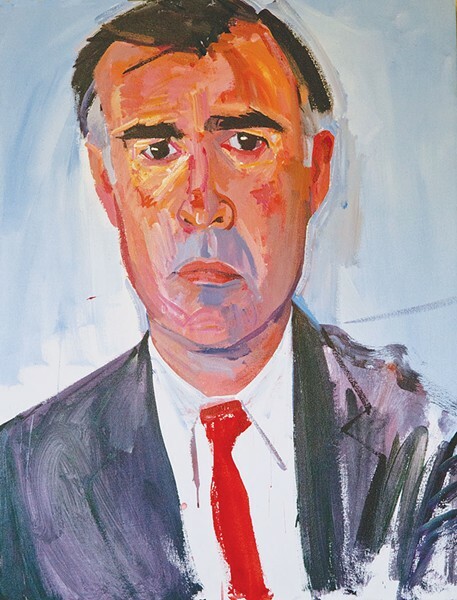 Then, in 2010, came synthesis, with the unlikely election of an older but wiser Jerry Brown, still the intellectually restless ex-Jesuit seminarian who, at the same time, had internalized much of the practicality and human touch that shaped his father's career. In a couple of months, Jerry Brown, at 80, will step aside as California's governor for the second time. As a narrative of political redemption, the Browns' story is satisfying because it's surprising. Back in 1983, when Jerry Brown's first stint as governor ended—brought low by Prop 13, the Mediterranean fruit fly and his presidential ambitions—he was soundly defeated in a race for the U.S. Senate by Pete Wilson. It looked like California's relationship with the Browns was over. Today, at least to California Democrats, nothing seems more natural than Jerry Brown in Sacramento. Now, though, it's almost a certainty that the Brown era is coming to an end in California. Jerry is both the only son in the family and childless, so at least the family name has reached the end of the line. It's an ideal time for the story to be told in wide-angle grandeur. Journalist Miriam Pawel has risen to the occasion with her new book The Browns of California: The Family Dynasty That Transformed a State and Shaped a Nation (Bloomsbury). The story of the Brown family parallels the U.S. history of California. The family's patriarch, German immigrant August Schuckman, arrived in California just a couple of years after statehood in the midst of the Gold Rush. "I wanted to write a book that was a history of California as much as it was a biography, something that I thought would explain some of the unique and significant things about California," Pawel says. "The family was a good vehicle to do that. I like to write history through people, and so this seemed to be a conjunction between an interesting and unusual family and an interesting and unusual state, and the impact and interplay that each one had on the other." Pawel, a Los Angeles Times reporter, fills in the colors of the Brown family with plenty of compelling secondary characters, chief among them Pat Brown's freethinking mother and self-described "mountain woman," Ida Schuckman Brown, who died at 96 the same year her grandson Jerry was first elected governor. But this is mostly the story of a father-and-son pair who provide an archetypal generational contrast, familiar to many who came of age in post-war America. Pat and Jerry Brown were largely simpatico in political values. But in political styles, they could not have been more different. Pat Brown was an engaging, exuberant, extroverted Hubert Humphrey–style liberal whose love of California was visceral and immediate. For a man considered the patriarch of a California dynasty, Pawel believes that Pat Brown has often been forgotten, especially considering his profound influence on the growth of California. "It's true that he's been somewhat overlooked," she says. "[F]or someone who had such a major impact on the built environment of California—the water, the roads, the universities and the schools—it's surprising there hasn't been more exploration of his impact on the state." He was what is today an extinct American political species: the can-do liberal who dreamed big, then delivered. Pat Brown also took on perhaps the state's most intractable problem with one of its most ambitious solutions. Though the population of California was mostly in the south, the state's water was mostly in the north. Early on, Brown declared a satisfactory solution to the water problem as "a key to my entire administration." The result was the California State Water Project, featuring a giant aqueduct in the Central Valley now named for Pat Brown. Brown was defeated for a third term by Ronald Reagan. After eight years of his governorship, California turned again to a Brown. In contrast to his father, Jerry Brown—at least in his first stint as governor, from 1975 to 1983—was more a reflection of the Vietnam-Watergate generation: arrogant, intellectually voracious, almost puritanical in his disdain for mainstream politics, the brooding iconoclast who simultaneously hated displays of wealth and loved hanging out with rock stars. Jerry Brown's mission was to attack the status quo, and he often did so in the most theatrical ways imaginable. He canceled the inaugural ball, flew commercial, rented a small apartment instead of living in the Governor's Mansion, and drove a blue Plymouth to work. Jerry's style resonated in a post-Watergate era of limits, but it bewildered many of his constituents—including his dad. In interviewing many of Jerry Brown's friends, Pawel says that many of them told her that "Pat never quite got Jerry. He was off dating Linda Ronstadt and sleeping on a bed on the floor and canceling the inaugural and all that. A lot of people thought it was for show. At the time, it happened to be good politics, but it also was a reflection of who he was. But I think his father was hurt by not being relied on, or let in more as an adviser." The last third of her book retraces Jerry Brown's time in the political wilderness—the doomed 1992 presidential campaign, the role as head of the state Democratic Party, the gig as a talk-radio host. Pat Brown died in 1996; the next year, Jerry said he was running for mayor of Oakland. In '99, he took office in the city and experienced a political reawakening. Ironically, he found himself fighting laws that he had created as governor. He vowed to bring 10,000 people to downtown Oakland. He got involved in potholes and karaoke permits. He was a common sight on the streets with his dog, Dharma. The move from philosopher king of Sacramento to pragmatic mayor of Oakland invigorated him. The other X-factor that transformed Brown was Anne Gust, the retail executive who became his wife in 2005. Oakland and Anne rounded off Brown's rougher edges, according to Pawel, and made him more of a practical and effective politician. Jerry got a second bite at the governor's apple in 2010. He came into office ready to wrestle with the state's chaotic finances and take on its dysfunctional penal system. He proved to be more moderate than many of his liberal supporters had hoped, but turned around a huge state deficit—thanks in large part to Democratic supermajorities and revenue-friendly ballot measures. Pat Brown didn't survive to see his son's second ascent—the older Brown would have found the second Jerry Brown administration much more comprehensible than the first. But time has run out for Jerry Brown and the family dynasty. He has mastered the art of politics, just when it's time to leave the stage.